Until final regulations are applicable, employers can rely on the opt-out arrangement guidance provided in IRS Notice 2015-87 and the proposed rule. That guidance generally provides that, for purposes of “pay or play” and the corresponding information reporting provisions, employers are not required to increase an employee’s required contribution by the amount of an opt-out payment as long as payment was not made as part of a “non-relief-eligible opt-out arrangement.” In general, a non-relief-eligible opt-out arrangement is an unconditional opt-out arrangement (an arrangement providing payments conditioned solely on an employee declining coverage under employer-sponsored coverage and not on an employee satisfying any other meaningful requirement related to the provision of health care to employees, such as a requirement to provide proof of coverage through a plan of a spouse’s employer) adopted after December 16, 2015. Note: Opt-out arrangements conditioned on an employee obtaining individual market coverage could operate as an impermissible employer payment plan that may be subject to a $100 per day excise tax per applicable employee ($36,500 per year, per employee) under the federal tax code. 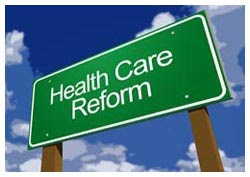 Follow our Health Care Reform section for the latest Affordable Care Act updates.